ORM (Divisions, Linear), DNB headquarters, Oslo, 2013. Leaded glass, 10 x 1 m. East-to-west view. ORM (Divisions, Linear), DNB headquarters, Oslo, 2013. Leaded glass, 10 x 1 m.West-to-east view. ORM (Divisions, Linear) is a back-lit ceiling made from leaded mouth-blown glass, approximately 10 x 1 meters. Its pattern is based on the division of the diamond shape by a line into two parts of different color. The gradual change in placement of the line, and consequently the relationship between the two colors, happen in steps. These step-wise changes are organized into interwoven fields, causing blending effects between the colors and the appearance of curves in a pattern that is all straight lines. In 2013 DNB (The Norwegian Bank) commissioned work from selected artists for their new headquarters in Bjørvika in Oslo. The group consisted of Yayoi Kusama, Richard Deacon, Bjarne Melgaard, Ulla-Mari Brantenberg, Anna Gudmundsdottir and I, curated by Ida Lykken Ghoosh, Karin Hellandsjø and Frode Sletner. ORM was specifically designed for the long, underground hallway I was designated. The work was made in collaboration with Norwegian glazier company Norsk Kunstglass A/S, Signex A/S, and Autogen AS, with glass from St. Juste Glassery, France. As an additional commission I made a limited edition of porcelain cover plates for the DNB board, in three color variations (see bottom page), in collaboration with Figgjo Porcelain. Short documentary about the making of ORM (Divisions, Linear), by Carsten Aniksdal. 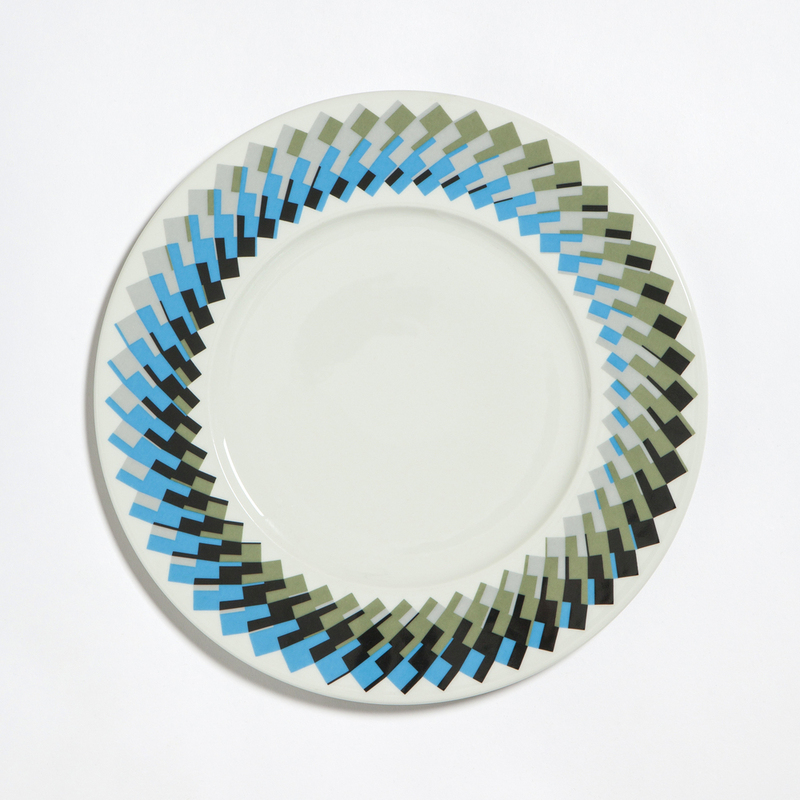 Limited edition of porcelain cover plates for the DNB board, based on a translation of the pattern from the ceiling. 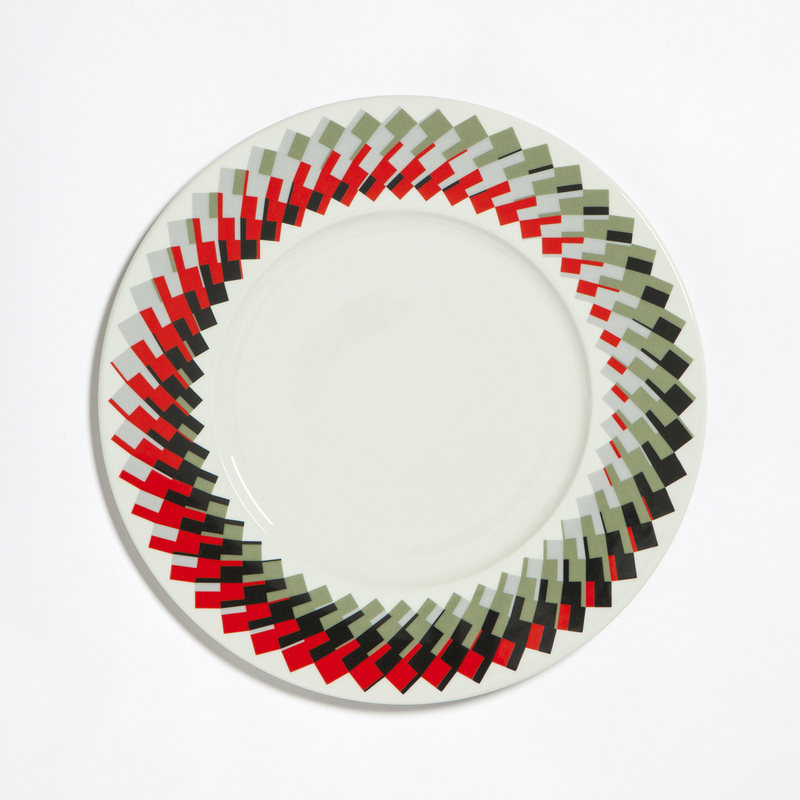 The result was a circular pattern ring in three different color variations, each plate 31,8 cm in diameter. The plates were produced by Figgjo, who silk-screened, glazed and burnt them at their factory right outside Stavanger in Norway.